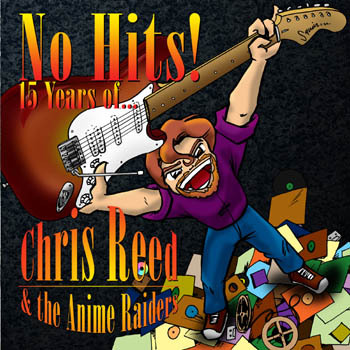 The new album by Chris Reed and the Anime Raiders - coming January 2019! Now that my health has been getting better I decided to set myself a hard deadline for the new album. In addition, I've been using Patreon to count down to the release of new music, by using my current catalog and unreleased music. For example, today (September 3, 2018) I put up an extended mix of a song that is out of print. The details can be found on my Patreon page - this post is public. When the countdown reaches zero, new music! Also, have you been checking out the video blog? New streaming player above! Check out some of our catalog and even get a free song download! Albums available at Amazon, iTunes, Spotify, and other fine retailers and streaming services! Well, life kinda got in the way while working on the new record. I'm not going to go into the details but I had to spend some time working on my health. I'm back to level now and am slowly getting back to work. I couldn't play for a while so I'm working on my chops - mostly my voice. I'm getting there. In the meanwhile, my website got hacked and was shut down by the Danish police! Turns out that someone put a phishing site on one of my less active pages. The Danes really smacked them down, and they made the German company that hosts my website take my whole site down. I'm back now, and I'm working again. More music news soon! So, what shall we talk about? We know as well as you do that we're coming up on 8 years since the last album. We didn't plan it that way, that's for certain. A lot of things have happened, some of it quite ordinary and some of it very strange. Most of it none of you know because I don't share personal things in social media. It's a story that we'll tell once we have an album to show you and it's going to wait so that you understand that there has been a whole process in getting here. To say that it's been a rough road getting to our next album would be an understatement. We finished "Deep City Diving" mid-2014 but as time passed and we listened more critically to the work we had done we realized that the album was below the standard we were attempting to acheive. After spending several years honing our garage pop sound attempting to put together a fully-produced studio album just didn't work. So we started again, but with some deadlines set and doing things we've never done before. First of all, we hired a producer for this record. Then the world flipped upside down and he joined a well-known band and he didn't have time for us. We're not going to reveal who he is - it's not fair to him - but he's not a novice and has produced albums you've heard and we wish him nothing but the best. 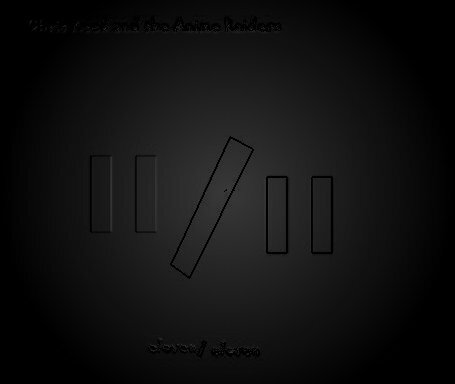 We're dumping about half of the songs and writing new ones as well as re-recording everything - so the album title changed. Chris is also going to take a more central role in putting the performances on the album, so many of the duties usually assigned to the rest of the band will actually be done by Chris himself. It's not going to be a solo album, but for the purposes of speed sometimes he will record himself - because we have a deadline. The guyzos are still committed to touring behind the new record. Note, we failed to meet every deadline in these paragraph, so please re-read the "newer news" above. We've given our distributors 4 different release dates for the album and haven't met a single one. Some days it feels like we've turned into the pop version of the band Tool. the money we put down for the promotion and is being held until we have the album ready. We are going to release this damned album this year! We're also going to keep updating this site, facebook and twitter. We're getting back in the game baby and plan to have our greatest successes yet! "Jennifer" was the top 20 on the Independent Music Chart for nearly 3 years, including 23 weeks in the top 5 and one week as the number 1 single in the land, landing back in the top ten in mid-March 2011. The song has legs. You read that right, "Jennifer" was a number 1 single!!!!!!! 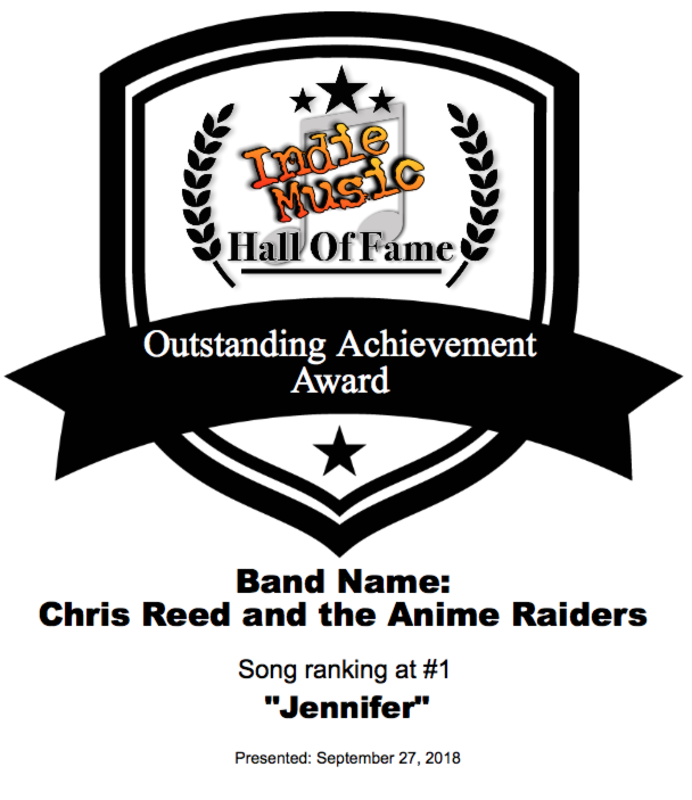 We were nominated by the Independent Music Network for "Favorite Mainstream Group/Duo" for 2009 and again in 2010! We didn't win (we were the runner-up) but that's okay. For those of you who can't catch the radio show with all the nominees, it can be downloaded here. "Jennifer" is played in segment 2 of the December Show (about 1/2 way through) and you can hear a commercial for the album at the end of the segment. We're also in the first segment of the February show. Attention non-profit ventures and persons employing fair usage rules as defined by law: Permission is hereby granted to anyone anywhere in the world to listen to the music of Chris Reed and the Anime Raiders, as well as replay by any means but not limited to websites, podcasts, CD players, radio, television, and any other medium not mentioned here, without payment of any monies whatsoever to RIAA, Soundscan, or any associated or similar organizations! They don't own these songs, I do. So I set the rules. So there. That said, if you plan to use my music to make money outside of fair usage (including but not limited to sampling, artistic ventures such as film and television and so on) contact Paul Cynic at the contact/licensing link above.To reach our management for bookings and interviews, use the same link.